Here goes. I am now sixty! Gee it hurts to say it. I feel I am still forty inside! However ten years or more of arthritis in my hip has stopped me from being as active as I once was and now that I’ve had the operation I thought I would gradually regain my previous ‘self’. Not so. After six months of recovery, I don’t feel I am making any progress in that regard and the muffin top is definitely not going away. So I joined a Why Weight 12-week healthy eating program, going once a week, discovering what I need to adjust in my diet and lifestyle and getting weighed each week to map progress. Despite getting ‘back on track’ with things like switching to semi-skimmed milk, low fat spread, cutting out sugar and using sweetener, eating less and cutting out things like biscuits and crisps and desserts, the net result has been no loss of any significance. Its not like I cheated. I kept a food diary and did my level best. I don’t think I am the only person on the program who has lost little or no weight. Depressing. A typical day would start with cafetiere coffee, a slice of toast or a bowl of porridge (no added sugar), sometimes no lunch or maybe soup and a slice of bread, coffee and tea during the day, and an evening meal. As a woman, I should aim for about 1,500 calories a day, but counting calories is not my ‘thing’ and the Why Weight emphasizes portion control rather than calories as it is not promoted as a diet. It’s not recommended to cut calories by skipping meals as your body will respond by storing fat to prevent against starvation. Instead, you should eat regular, smaller meals. I have probably fallen into the skipping meals trap as quite honestly if I keep myself busy I do not bother much about food especially during the day. Putting meals on smaller plates helps, but by the evening I feel hungry enough to want to eat a healthy dinner. My daughter suggested I drink green tea as it is supposed to aid weight loss. Whilst the slimming benefits of green tea remains unclear, a large amount of robust research has focussed on the overall health benefits of flavonoids in tea. As a result, many health experts now suggest that as part of a healthy lifestyle, four cups a day could help to protect our bodies from the effects of free radicals – potentially harmful molecules that can damage cells. In turn, this may help to lower our risk of many health problems including heart disease, cancer, strokes, Alzheimer’s disease and even cataracts. Tea is a natural source of fluoride, a mineral that’s important for healthy teeth. And even though both green and black teas contain caffeine, health experts say there’s an insufficient amount in a cup of tea to cause a diuretic effect. As a result, both the Food Standards Agency and the British Dietetic Association say that tea counts towards our daily fluid requirement. So I’ve been substituting green tea for my PG Tips with no milk or sweetener. So I was unsure what to do next as I want to drop a dress size in time for my son’s wedding in July. Clearly, adopting merely healthy eating habits and drinking green tea isn’t going to achieve my goal. Hence I decided to embark on a Herbalife diet plan (or weight management as they term it). This involves a month of 2 daily meal replacements of a milk shake plus multi-vitamins and a herbal/fibre tablets and green tea. Plus drinking a fair bit of water each day. I am not a fan of faddy diets, but being desperate to kick start some weight loss I felt it had to be worth a trial. So, a starting weight of 85.3kg and being 5’5″ in height, I am definitely in the overweight category. One calculator gives me a BMI body mass index is 31.29. So here goes. This page will chart the ups and downs (hopefully downs!) of a month of my life. Lent starts on 5 March until 17 April so it seems fitting to make the decision to not only ‘give up’ my old body weight and try and start a new, more healthy me – not only for the wedding but to make my replacement hip last longer! Got up about 9am, husband wanted to go out to sort his iPhone out, so had a vanilla shake and the vitamin and fibre tablets, got ready to go out. The vanilla tastes OK, no more than that. Palatable. Didn’t have the usual coffee. Went out, also to Homebase to get some paint color swatches. Bought a small bottle of elderflower presse while out, and noticed too late it had sugar in it, but hey ho! Back about noon. Husband decided he was hungry as hadn’t eaten anything for breakfast. We walked to the local co-op and he bought his ‘usual’ bacon and sausages and when we got home he proceeded to do a fry-up. I have to say the smell didn’t make me feel hungry, in fact the opposite. I weighed out flour and stuff to make bread and left the machine to chunder away for a couple of hours. Once he’d eaten that I made a second shake, strawberry flavour. That tasted somewhat nicer. Took the tablets and a while later made a mug of herbal tea. My husband had left his mug with coffee granules and sugar in the kitchen so made his for him at the same time. Then did a nutty thing, put milk in BOTH mugs! Had to throw mine and make another! Drank a 300ml bottle of water (got a few as a multipack for taking on trips) and later had a mug of ordinary tea with milk and then started updating the blog. The Why Weight leader yesterday mentioned doing Zumba Gold. I’d never heard of that – although I obviously know what Zumba is. I wish I was younger and fitter as Zumba seems like really good fun. Zumba Gold is apparently for ‘older’ bodies. So I did a bit of googling and found that the local adult education establishment runs classes, although the info I found seemed a little out of date. So I rang them. Turns out the next Zumba Gold 14-week class doesn’t start until 22 April. The current offering is a regular Zumba class which might be too much for me at present. Annoying that there is always a long time to wait for these things. Stuck a post-it n the fridge and a reminder in the phone for when it does get going. So tonight I am out at Dartford photographing their Kent Senior Cup game against Dover Athletic. And I hope the Doc will kindly make me a cup of tea half time. Before I go out there is a Butternut Squash Risotto in the fridge for tea. 356 kcal. If I can manage to munch an egg on toast when I get home after the match for about 200 cal, that won’t be a bad start to the month’s plan and a good end to the day. I had egg on toast on my mind to look forward to after a 3:0 defeat, but when I got home and made a slice of toast I discovered the last part of some smoked salmon pate in the fridge, so shared that with my husband, together with a mug of herbal tea. So far so good, except that I probably drank 600ml water plus the teas during the day. May be not enough. Got up about 8am. Made a vanilla shake while the water heated for a shower. Also had the vitamin and fibre tablets. Spending most of today looking after my elderly father, then out tonight for the Camera Club AGM which I have to officiate – yikes. Had a shake for lunch, and then a slice of toast with baked beans and poached egg for tea. Ended the day with a mug of herbal tea. I have to own up that I had a cup of tea and a biscuit (a shortbread) at the camera club – so much a habit it wasn’t until I took a bite that I thought “Oh No”. Didn’t sleep well, probably guilt feelings! My husband had a doctors appointment following a blood test and came home to tell me his cholesterol was too high and his blood pressure a bit raised. Considering his eating habits and lifetime somewhat unhealthy diet, he knew I would be saying ‘told you so’. A bit of a wake-up call for him. I’m calling him Captain Cholesterol and challenging him to eat more wholegrain, cut out fat and sugar. Up fairly early, made a mug of cafetiere coffee and had a shower. Then made a shake with some blitzed banana in it on the suggestion of Charlie, my ‘mentor’. Realized it was a vast amount of washing up to do the food processor every time I wanted to do this, so thought about getting a stick blender. Did the washing, hung it out in the garden – the first time this year! My husband took his motorbike in for its MOT and I followed in the car and we went to Aldis. They didn’t have any blenders, so went to Wilkinsons and found a ‘smart price’ one for less than £5.00. Looking forward to trying this out tomorrow. I madly took on a photographic job on Saturday in Greenwich (as Dartford are playing on Friday, no game Saturday). We drove to Greenwich to suss out parking and went to the pub where the event is being held. Had a half of diet coke and we were going to eat, but none of the things on the menu we fancied were ‘on’. So went for a wander. My husband spied a “Pie and Mash” shop and we just ‘had’ to go there for him. I’m not a fan. He had pie, liquor and eels. I had pie, mash and mushy peas. Scraped out the mince, left almost all of the pastry and ate the mash and peas. Not the best meal out ever, but he enjoyed it. Got home, hung out some more washing, snoozed on the sofa for an hour (and felt much better) and had a herbal tea. Had a strawberry shake for tea at 6pm and got ready to go and teach at the adult education centre. Taking the supplement vitamin and fibre pills seems to help stave off hunger as I am not particularly gagging for a meal. The herbal tea is supposed to aid your metabolism work harder to burn off fat. So I’ll look forward to one of those when I get home. That, and a small shot of whisky! Got up early-ish and made a cafetiere of coffee first thing. Used the hand blender to add banana to the shake, and it frothed up nicely, totaling filling the glass rather than about 3/4. Took the tablets with it. Yum isn’t exactly the description, but its OK. Spent the morning tackling the ironing. Went out about midday to go to Sainsbury’s for some of their delicious Medjool dates. A couple of those during the day is nice. On the way back, mooched around TK Maxx’s homeware department. They do have some nice ‘stuff’ but resisted. Called in at B&Q to have a look around their garden section. Saw they ha some nice seeds for specialty tomatoes, including the Marzano ones from James Martin’s Tomato Soup recipe. Since I haven’t come across any tinned ones so far, decided to give it a growing my own this summer. San Marzano is a variety of tomatoes grown in volcanic soil in Italy. They are more sweet than acidic compared to Roma tomatoes and are far superior than any other type of tomato you can buy from a can. Alice Currah in the US praises Marzano tomatoes. San Marzano DOP is the San Marzano variety or cultivar, grown in a relatively small area within Campania, which is the region of Italy in which Naples is situated. The canning plants can only use the DOP label if the tomatoes are grown in the right place. This blog elaborates further. A further google indicates that Tesco sells its Finest San Marzano Peeled Plum Tomatoes (not DOP), £1.49 per 400G. I predict a visit to Tesco in the near future! So, armed with the seeds, a small propagating tray and lid, and some seed compost, made my way home. Got planting straight away. Planted a small number of two types of tomato and a row of sweet basil. Now the seeds have pride of place on the kitchen windowsill and I treated myself to another glass of milkshake for my efforts. Off to football tonight. There’s a televised game (shame its not on Saturday but I get why non-league takes a second or third place to the league games). So a jacket potato in the oven, and a feta cheese salad to go with it, that’s dinner sorted. Cuppa now I think. Up early to go to Greenwich for a corporate shoot. Coffee first, then a shake and banana blitzed for breakfast plus tablets. Left home about 10.30, got to Greenwich about 11.00 and luckily the car park wasn’t full. So had a while to spend, taking a couple of picture, having a cup of tea in the Discover Greenwich tea rooms – that cost enough! Managed to steer clear of the cakes – although they looked nice at a steep price! Did the shoot, got home about 2.30 pm, having stopped off at the butchers for some nice fillet steak for tonight – only to discover my husband had been to his sushi shop and got some sashimi tuna and some rice roll sushi things which we will have tonight instead. Steak tomorrow then! Made a strawberry shake and watched Arsenal beat Everton and now to get on with the pictures with a mug of green tea. It seems best to follow a well-balanced diet rich in protein, moderate in carbohydrates and low in fat since this could generally improve mood and energy levels. This should also ensure the adequate supply of micronutrients such as omega-3 fatty acids, iron, folic acid and thiamine. Enjoyed the sushi/sashimi and also a glass of diet coke and rum! May be moods are related to what you are eating? In the run up to Christmas I was having a great time cooking, making cookies for presents, mince pies etc. A lot went to waste and got thrown as it got stale (including a stollen I bought), especially knowing I was going to start Why Weight in January. Apart from baking bread several times a week, I don’t think I’ve baked anything, and probably once a week do a stew in the slow cooker. The only what I would call ‘cooking’ was for a small dinner party on Valentines Day. I really do miss it, but what’s the point when its off the menu?! Woke up quite early, unable to sleep any longer. Made a coffee and started with the images from Friday’s game with a milk shake in hand. There is a U18 game at Corinthians, a semi-final game that I said I’d go and shoot, so got ready to go out for that. A simply superb spring day. Butterflies out, warm enough not to need a coat. And an extra-time win for the Dartford boys. Met up with my husband at lunch time at a local Chinese restaurant, with the rest of the lads. It was one of those ‘eat all you want’ menus in a really nice Chinese. Had a couple of Chicken Satays, some ‘seaweed’ and a crispy roll and to follow a couple of pancakes with Crispy Duck and veg. Couldn’t eat any more. Drank Chinese tea rather than beer. Forgot to set the England-Wales rugby to record, so left in time to catch the second half on TV, good to see England win. Later that evening had a meal of a small piece of grilled fillet steak and salad. First time eaten two regular meals this week. Still processing images, woke up early, coffee and computer. Had a shake with blitzed banana for breakfast. After some green tea, went out to the Why Weight meeting and the scales showed I’ve lost a kilo, or 2.2lb (sounds more in old money!). Which has to be good news, and I am sure is largely due to Herbalife. That’s the most I’ve lost in a single week since I started Why Weight in January. Up to now I’ve been lucky to lose 0.2 kilo in a week. I don’t ‘feel’ any different, but at least a bit more optimistic. Start of week two. Got up fairly late today, having had a poor night’s sleep. Had a shake (no coffee) for breakfast and got on with the ironing chores. Later went out to do some shopping and banking. Went to Tescos to find those “Finest” San Marzano tomatoes. Hopeless. Not a tin in sight. Seems like they have stopped stocking them. Looked on Google, you can get a 6-pack of 28oz cans for £43.00 on Ebay! Found a source in Whitstable, much more reasonable. At least had a good walk around town, too. It feels much colder today. Got home about 2pm and had a second shake for lunch. No time for drinking herbal tea or water. 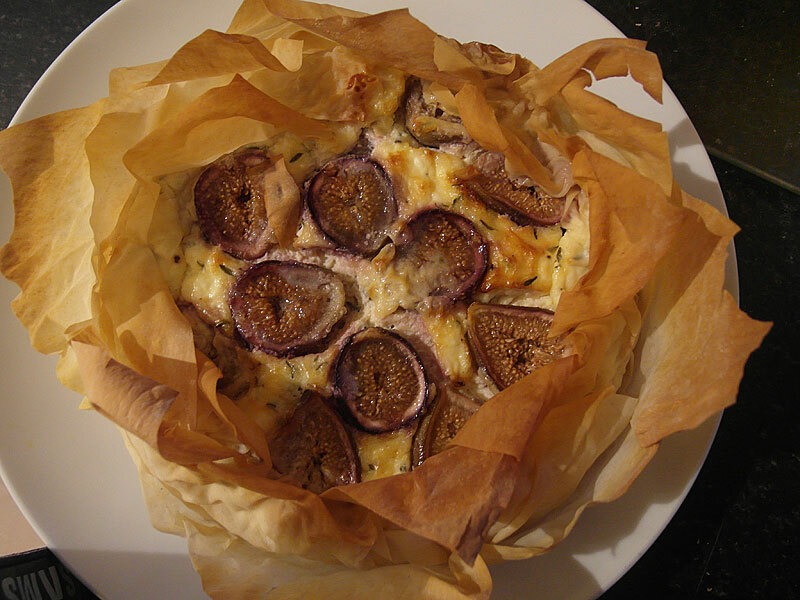 Had a green tea and did some cooking – made a goats cheese and fig flan using filo pastry. Made it once before. My husband bought a load of figs from the supermarket, so wanted to use them. Tonight we had a home-made chicken curry with rice. Now feeling full up! Watching Bayern confound Arsenal and knock them out of the Champions League, and after a mug or two of green tea, watched my all-time favourite film, Desperado, with Antonio Banderas. Coffee and later on a vanilla + banana shake for breakfast, a shake for lunch. Drinking lots of water and tea. Did some chores, went out in the afternoon. Cooking jacket potato to go with fig and goats cheese tart I made yesterday (I really do like cooking, just lately kept away from it …) Made with filo pastry, goats cheese, semi-skimmed milk, eggs, parmesan cheese and thyme. Salad on the side. 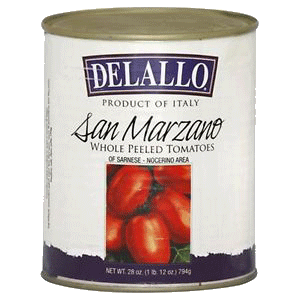 I ordered some San Marzano tinned tomatoes and they arrived by delivery service at 07.30 this morning! The driver did not knock or ring the bell for some reason, and left the package with neighbours. I was awake at 07.30 so surprised not to hear the door. Decided to try out a Zumba class at the same venue as the Why Weight on the recommendation of Sarah, the Leader. There were about ten people, varying ages and fitness ability. I love salsa-type latino music so was looking forward to it. However, I found it quite difficult to see what I was supposed to do and to keep up! I avoided the high impact moves as the instructor suggested, and did my best. Got a bit hot, felt the months and years of stiffness and inactivity have taken their toll, but did enjoy the session. I hope to go back next week. But I rather think Zumba Gold may be more my level! Went out with my husband after that, ended up walking a long way around Gravesend along the river front, ending in the Riva Bar on the Pier for a drink. Felt so exhaused when I got home I slept for a couple of hours before getting a fish meal and out for an evening’s teaching. Now I’m home my back feels stiff and painful and it will be painkillers before bedtime. Had a lay-in, back feeling not too bad. Had a vanilla shake with banana for breakfast. Out to get some paint and a bit of shopping. Then back home and started tackling the mammoth job of clearing up the front garden. Lots of old plants and weeds to dig up. Not ideal for me really, but we tackled it for a while and eventually after several large bags of rubbish had been collected we decided to call it a day and rest the aching backs. Had a strawberry shake for lunch and a cup of tea later on. Booked a ‘high tea’ for my mother and father for next Friday. Its a treat for both Mothers’ Day and my father’s 93rd birthday which is the same day, the following Sunday. Next Friday is the date my daughter can come up to visit. Looking forward to that, diet be damned! Noticed that the tomato and basil seeds planted a week ago had started to germinate. Wow! Made sure the camera was charged up and ready for the footie tomorrow – off to Cambridge Utd. Off to Cambridge United today. Shake for breakfast, ready-mixed shake in the thermos for lunch plus some dates. Had a tea at the ground before the match and the Doc made me another for half-time. Cambridge didn’t get the easy ride they were hoping for, Dartford gave them a hard time, and ended with an Alex Wall equaliser at the end for a draw. Drank some water on the way home. Then my husband took me out for a meal at Cafe Rouge when we got back. A wonderful fillet steak. Excellent. And some bubbly to wash it down. Do I feel guilty? Well, may be a bit. Up early, watched the F1 and then got on with the pictures from yesterday. Almost half way through the month. Gosh, the days go really fast. My seedling tomato plants are sprouting and looking good. Did a bit more work in the garden and then went to shoot the U15s play Tonbridge Angels on the 3G pitch. A beautiful almost summer’s day. A turkey roast with vegetables for tea. One of my camera bodies seems to have developed a fault, so off to the repair shop tomorrow to get it checked out. Two weeks into the programme. Up early-ish and off to Southborough to put my camera body in for some tlc. Then back home and off to Why Weight lunchtime. Just time for a second milkshake before going out. Not that many people turning up, and just one more week to go. I’m not one for a lot of ‘group therapy’ but Why Weight isn’t like Weight Watchers. Its a friendly group and everyone seems to have achieved some weight loss, some more than others. It seems a shame that quite a number of people drop out. It isn’t patronising, its quite useful to talk to other people in the same situation as yourself. I found I’d lost 0.4kg, which isn’t as much as I would have hoped for, given the routine of milk shakes and avoidance of ‘snacking’ foods. I’ve had a few dates and dried fruit but avoided buying biscuits for about 12 weeks now. I don’t actually feel the need for a biscuit with a cup of tea as I used to which isn’t to say if there were some in the cupboard I might be tempted! Best keep away from that aisle in the supermarket. Made a jacket potato and salad with a portion of tinned salmon for a change. Then to the martial arts club for the evening. Loaned one of my post-op crutches to a lady from Why Weight who’d just had an operation on her foot and hadn’t been issued with a crutch or walking stick by the hospital despite being in plaster for 3 weeks. So after running around with that went home and watched part of the Luton v Woking game while keeping an eye on the computer uploading images to the gallery. Later picked up my husband after the senior class ended at 10.00pm and went to the pub. Had a rum and diet coke and then came home. Pretty tired out. Now into the third week of Herbalife. Quite busy with organising arrangements for a martial arts seminar happening at the end of this week, so a fair bit of time on the computer – even though I’ve now uploaded lots of images from the weekend’s football. Day seemed to fly by, seemingly just moments from having a breakfast milkshake to lunch time one and later supper. Some effort in the garden, a trip to B&Q and the builders merchants for some cement and other essentials for doing the front garden. Glad I didn’t have to lift those bags. More milkshakes duirng the day, and the fibre and vitamin tablets. Decided to make the James Martin Tomato soup with the San Marzano canned tomatoes and fresh basil. No cream or butter (unusually for a James Martin recipe). Nice. A slice of garlic bread and then a jacket potato, salad and cold chicken for supper. Had a trip to Faversham in the evening, for a camera club judging. Would never have found the venue without my satnav. Home about 11pm. Exhausted. Time to get up and go to Zumba for the second time. A few fewer people this week. I still feel like a lumbering idiot some of the time. Still, got warm and a bit sweaty and enjoyed it on the whole. After that had to check on the venue for Saturday night’s ‘party’ only to find the Steward had no record of the booking in the diary and would not have been there in all likelihood had we not checked. Error at the venue end, not ours, mercifully, and it was sorted out. Sigh of relief. What else will we trip up on? Continued with the milk shakes for breakfast and lunch. A serving of pasta and meatballs and tomato sauce for tea. The out to the Adult Ed for the penultimate session of the 10-week course I am teaching. For some reason for the first time in weeks my back doesn’t hurt at the end of the evening. Every Thursday evening my back really does not like me, I think it has to do with the teaching at the Adult Ed. A lot of rushing around today to get things sorted for the martial arts seminar this weekend. Managed to keep to the milkshakes, can’t now remember what I had for dinner! Going to be a busy weekend. Up early for the martial arts seminar, got everything in the car and up at the hall by 8.45 am, having had a shake with banana for breakfast. Sorted the tickets and fees out with another ‘mum’ who volunteered to help. Loads of Euros and nice Continental martial artists. All a bit frenetic for half an hour. Then set up with the camera to take lots of pictures during the day. Didn’t even manage to get a coffee and felt pretty thirsty by lunch tie. There was a sandwich order for the participants to sort out, but I didn’t order any. At the lunch time break I had to dash off to Poundland to get a few last-minute bits and pieces, and that took over an hour in the traffic. Managed to drink a shake in the car that I’d prepared in the morning and kept in a thermal mug – the one I usually take to the footie. Then back to the hall until 5pm. Home, washed, a bit of a bite to eat and then out to sort out the food for the buffet evening that a good friend had prepared. It did look tasty. Good music, nice bar, friend brought his roulette wheel and monopoly money and that got everyone up and involved. A bit of karaoke and then clearing up at the end. Talk about exhausted! Had to download about 12gb of images overnight. My husband had arranged to go to a friend’s pub down near Rochester at last night’s party to play chess. I wanted to go and shoot the Under 15s game. So he went with someone, and I said I’d come along after the match. Had a bit of running around to do first, dropping stuff off at the hotel for the foreign guests, then returning some bits of crockery to the hall that I’d taken home to wash. Had a milkshake and banana first, then out for a 12.00 kick off. Then disaster, my camera body developed a fault and between that and the intermittent rain showers, I only stayed for the first half. Then home, get changed, and off to Rochester. Had a late Sunday Lunch, typical pub food. Nicely cooked but waaay too much for me. Ate about half and had to leave the rest. Had a glass of wine and a glass of water. Did enjoy it though! No starter or dessert. Later that evening, we indulged in a small individual trifle each that I’d been tempted to buy in the supermarket. Nice treat at the end of a busy weekend. OK, the last day of the Why Weight Programme. I had to get up early, phone the camera shop and then get a train to London to take the body as it is under guarantee. Got a train at 10am, left the shop to come back at 12.00 noon, got a train at 12.30pm and as soon as I got home at 1.15pm, off to Why Weight. All I’d had today is a milkshake and banana, and a carton of iced tea. Glad to know that I’d lost 0.8kg and 4cm off my waist since beginning the programme. Had a second shake when I got back. I’ve got one more week of Herbalife to go, so will want to put the Why Weight healthy eating tools into place and carry on. At least I can try a keep fit class on a Monday, will have to ring up about joining. Went out during the morning after a breakfast milkshake to collect my other camera body from the repair shop. Then off to Bluewater to get a friend a birthday present and card. Back home for a lunch-time milkshake. Spent some time potting on my baby tomato plants and starting a few more seeds of different varieties off. I also decided it would be nice to make some Easter cupcakes as a treat. Used lemon zest to flavour and when cooked and cooled, ‘cored’ them and put in some good quality lemon curd. Used lemon-juice flavoured buttercream icing and a cute little fluffy chick decoration to finish. Tea time meal of spinach and ricotta home-made lasagne using some left-over San Marzano tomatoe soup! Tasted really good. Out for an evening of camera club judging. My husband went out with his friend for whom we’d bought the birthday present so they had a good evening too. Wednesday started with an early phone call from my mother as my elderly father had taken a tumble at home and she had called the emergency services. He appeared not to have hurt himself badly but he is getting very frail. Spent most of the day in A&E, and after taking my mother home for a break at lunch-time, went back in the afternoon for a while. He seemed fairly settled, and as they could not allocate a bed in a ward my father and several other people were ‘stored’ in a quieter part of A&E as a sort of holding ward. The doctor wanted to do a head scan and took him for that late afternoon when we had to leave. My mother arrived shortly after we’d left and saw him up in the ward. At home in the evening, concerned about my father, managed to eat the remaining half of the spinach and ricotta lasagne. Awake quite early, my daughter is back from Southampton for a couple of days, and she is obviously worried about her Grandpa. I would have gone to Zumba, but honestly I don’t think I can give much attention to it today. I think I might have to skip it today. Visited my father in hospital, and he seems to have recovered although he may stay in for a few days on the doctor’s recommendation. My daughter loaned me her book “You on a Diet” which is an ‘easy’ read. It also reinforces the view that under-eating makes your body store fat rather than burning it. So not eating in order to lose weight is not the solution. In fact, its best to spread your calorie intake over a whole day, not scoff most of them at supper time. The book suggests starting every day knowing when and what you are going to eat and so avoid the yo-yo of starvation-gorging which occurs when you skip meals. It also underlines why the fat around our tummies is more harmful than anywhere else on your body. Interesting that in your brain is located your hypothalmus and also your satiety centre that regulates your appetite. The hormone leptin makes you feel full, while the hormone ghrelin makes you want to eat. As you get older you have fewer leptin receptors, therefore you have fewer satiety signals which makes you more prone to gaining weight. Bugger getting older. In a perfect scenario these two hormones are kept in balance, so you eat when you are hungry and stop when you have had enough. However, the leptin signals can be overridden by pleasure signals and we learn to ignore the ‘enough’ signal. One proposed solution is to walk thirty minutes a day to build some muscle. When you lose some weight, your cells become more sensitive and receptive to leptin. I certainly hope that my ‘kick start’ weight loss will have that effect. Only time will tell. I certainly felt the ‘I’m full’ signal at last Sunday’s scumptious lunch, and couldn’t eat it all. Scientists found how ghrelin works accidentally: in gastric bypass surgery, doctors cut out the part of the stomach that secretes ghrelin. They soon realised that it wasn’t just the smaller stomach but the reduced ghrelin production that helped surgery patients eat less food. Makes me wonder how come there isn’t a drug that can reduce ghrelin production and so avoid unnecessary surgery in a lot of people? Something that could regulate ghrelin would surely be welcome? When you ‘starve’ yourself, your growling empty tummy secretes ghrelin that overrides your willpower. Your stomach secretes ghrelin in pulses every half your, sending subtle impulses to your brain, like subliminal biological messages (“carrot cake, carrot cake, carrot cake”). When you are dieting these messages come more regularly, and are amplified. That’s why cookies trump willpower (we’ve all been there, right?) Interesting that ghrelin works in the short term, sending hunger signals twice and hour. Leptin works in the longer term, so if you can get your leptin levels high, you have a greater ability to keep your hunger and appetite in check. So its the chemicals in our brain which we need to understand. I always thought that the key to dieting was in the mind. Now I understand a bit more about why I was right! Spent most of the day out with my daughter. Went to Bluewater, and she found the shoes she wanted for the wedding in July. So that was a success. Had a bite to eat at Leons. I had a grilled chicken burger which was very tasty and hopefully not to calorific. Visited my father in hospital and then later had a milkshake for tea and went out in the evening for the last teaching class of the term. Today was meant to be a treat day for both my mother and father (for his birthday and also Mothers’ Day). We ummed and ahhed about whether to cancel, but in the end decided my mother needed a bit of a treat so kept the booking and went to Rowhill Grange for an Afternoon Tea. OK, so we all know its not really on the menu, but it was quite delicious, all the more for not having had any treats since Christmas. So the day consisted of a milkshake and banana for breakfast, a small bowl of tomato soup for lunch, the sandwiches and cakes with tea in the afternoon which amazingly was quite filling and I really didn’t want anything else that day. Wonder how much it has affected the scales? Saturday. Match day at home. Out in the morning, chasing around with various things to do, including getting the deposit back from our hall hire, getting a new battery shaver for my father and taking it over to my mother. Finding she wasn’t answering the door even though the washing was out on the line was a bit disconcerting and when we got in and found that she wasn’t there even though the car was, it became clear that she had caught the bus and gone down to town. After she returned we went back home and stopped to refuel the car. Disaster. My husband managed to put petrol in the diesel! I didn’t notice as I’d gone in to pay while he did the fuel pump thing. Only noticed when I popped out to take something back to the shop where we’d bought the shaver that the car wasn’t behaving properly. On the way back it dawned on me that maybe he’d done something stupid. Limped home and the look on his face was priceless. On the phone to the garage, booking out the ‘rescue’ service and then trying to find a hire car for the weekend. Walked round to the nearest garage who amazingly had a small Honda Jazz automatic we could have for a reasonable price. Car got towed. That’s going to be expensive! What can I say? Men!!! Off to the match at the home stadium against Macclesfield. Eye-wateringly bright day, sat in the sun and shot into the sun during the first half. I felt over-dressed and a bit warm! In the second half at the other end, sitting in the shade it got a bit chilly but the home team won – a valuable three points. Had planned to visit my father this evening, but when I got home my husband had got some food ready and by the time we’d eaten, I was feeling completely drained. Fortunately my father had had some visitors that evening, so we will go tomorrow.